Ecoflow is New Zealand’s Pressure Sewer System experts. We’ve supplied and commissioned more than 12,000 grinder pumps throughout many large scale wastewater reticulation projects across the country, all of them success stories. Our proven track record, market presence and reputation makes Ecoflow your local specialist, pressure sewer is all we do! Ecoflow is responsible for over 12,000 E/One pressure sewerage systems in New Zealand over the past 10 years. Ecoflow exclusively use E/One pumps. Pumps that are internationally recognised as the industry leader for pressure sewer systems. Ecoflow is a true specialist. Pressure sewerage systems are what we know and all we do. We get involved in every aspect of the implementation process from community consultation through to commissioning and ongoing support. Ecoflow is a New Zealand-owned and operated company, with the original founders still working on every aspect of the business. Don’t be surprised if you see them out in the field during an installation and talking with a home owner. 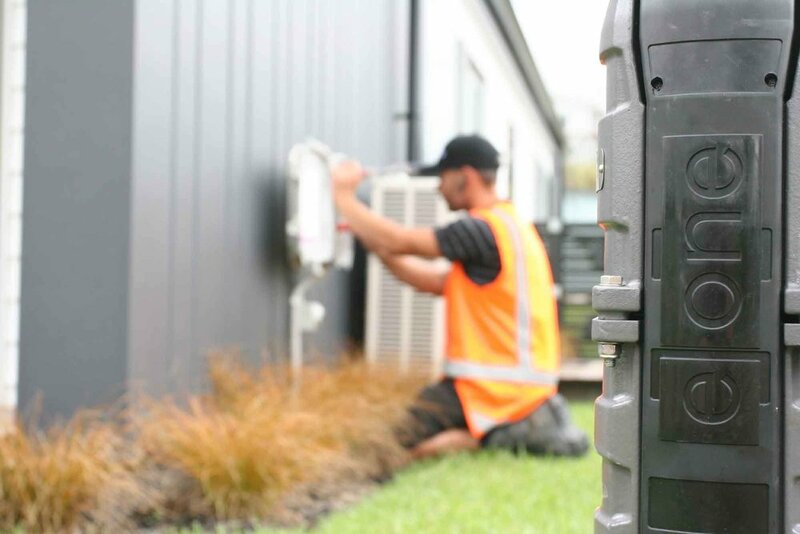 Being a small New Zealand-owned company, Ecoflow are passionate, pro-active and supportive of every pressure system installation and design.